With three generations of experience in the New Orleans tourism industry, Royal Carriages provides locals and visitors to discover the French Quarter and other neighborhoods on an authentic mule-drawn carriage ride driven by a licensed tour guide who provides insight and entertainment as the mule clomps along the narrow streets. Carriage tours are a unique and memorable fashion in which to explore the Quarter while hearing its fascinating stories and learning its wild history. 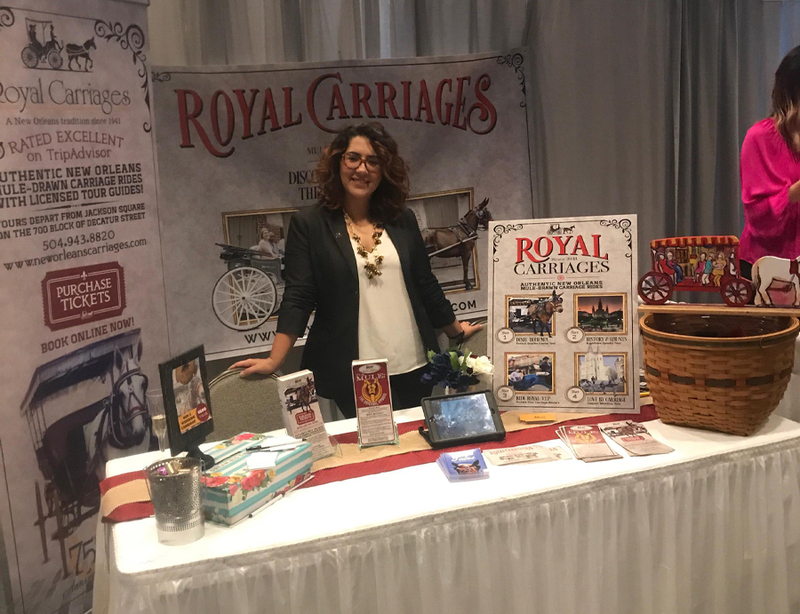 Royal Carriages is proud to be high rated on TripAdvisor and the winner of the 2018 "Louisiana Attraction of the Year" award. 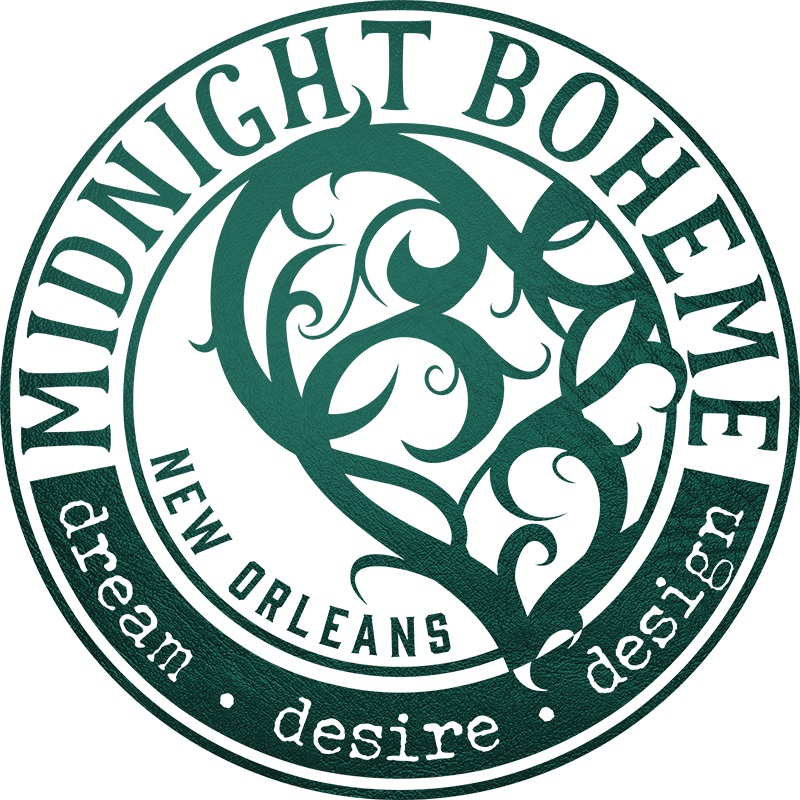 Since 2015, Midnight Boheme has teamed up with Royal Carriages' owner and associates to bring their family-owned company to the highest rated tour experience in the French Quarter. 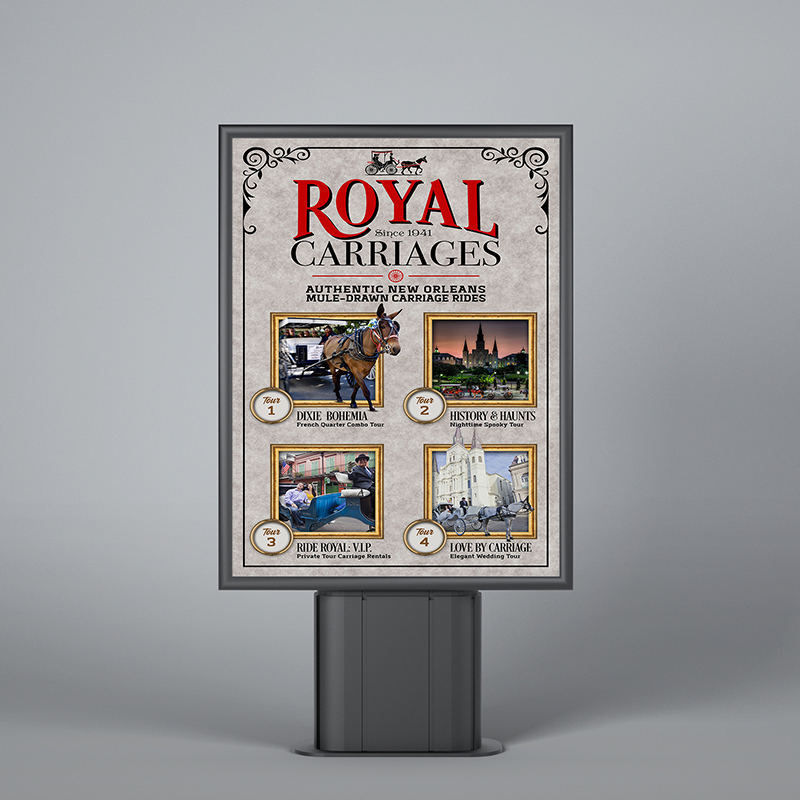 In 2018, Royal Carriages was named "Louisiana Attraction of the Year" and the designer is proud to have been a part of that great achievement. 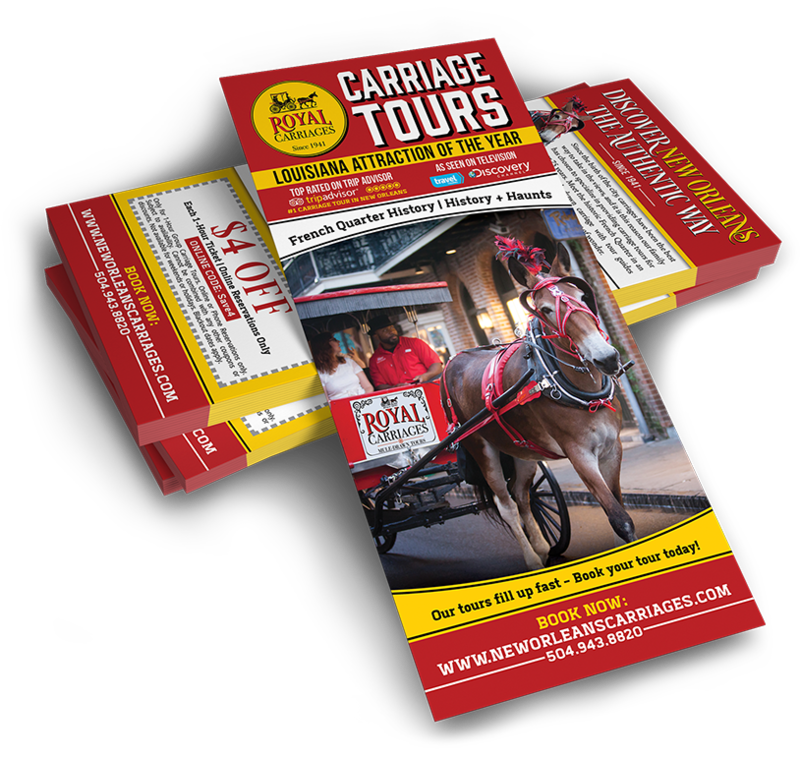 Royal Carriages has been a part of the New Orleans tourism landscape since 1941 and has expanded from a simple wagon tour around the marketplace to today's ample carriage-drawn tours in the French Quarter, Garden, District, and Marigny plus cemetery walking tours and more!  Sometime in the 1950's, the Lauga family created the original version of the Royal Carriages logo with a mule-drawn carriages over lettering that is still recognizable today. However, after years and years of being reproduced and ink-smeared and badly formatted, Midnight Boheme was hired to revamp and digitally enhance the logo so the company could produce it in a large-scale, clean, clear, high-resolution state for printing and production needs. 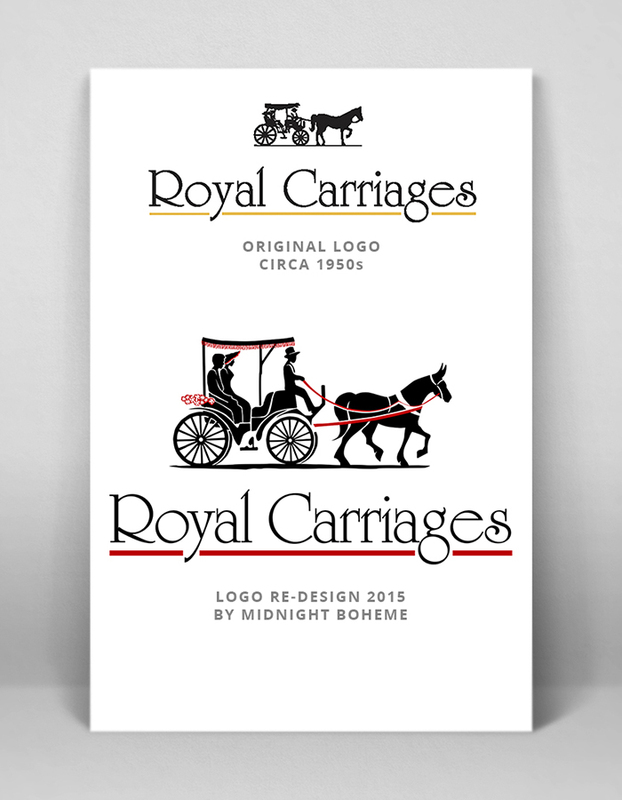 The new Midnight Boheme-designed logo can now been seen on signage, stationery, t-shirts, websites, social media, and all other Royal Carriages branding.  Since the original Royal Carriages logo was already very recognized in the industry and by both locals and visitors, it was very important to give the brand a "face lift" rather than a complete re-brand, therefore keeping the recognizable aspects in tact while giving the company a fresh, modernized, sharper image. 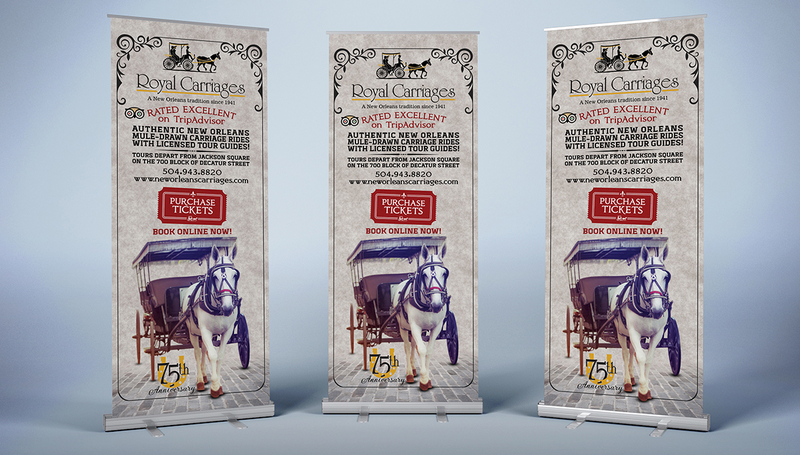 Banners, billboards, and signs were created by Midnight Boheme to be seen at conferences, sales meetings, trade shows, and other promotional opportunities for Royal Carriages. Since the company was established in 1941, the year 2016 marked the 75th anniversary of the family-owned company. 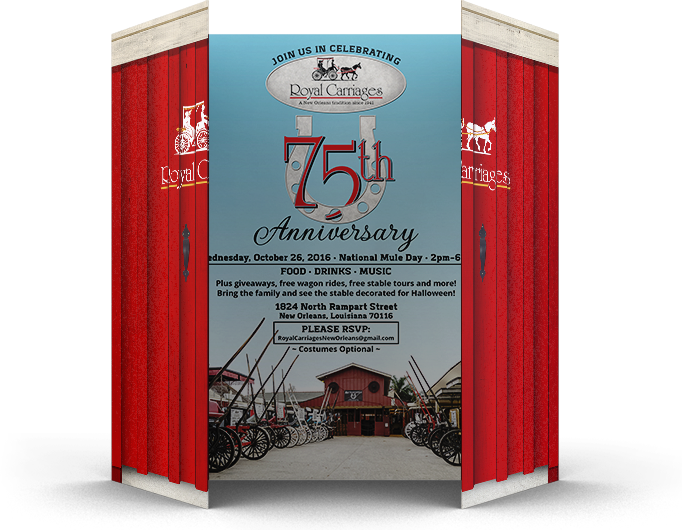 Midnight Boheme created a horseshoe-inspired anniversary logo that was sewn onto company shirts and used in various marketing promotions, including the anniversary celebration signage and invitation that was held in October 2016 in honor of the anniversary event. 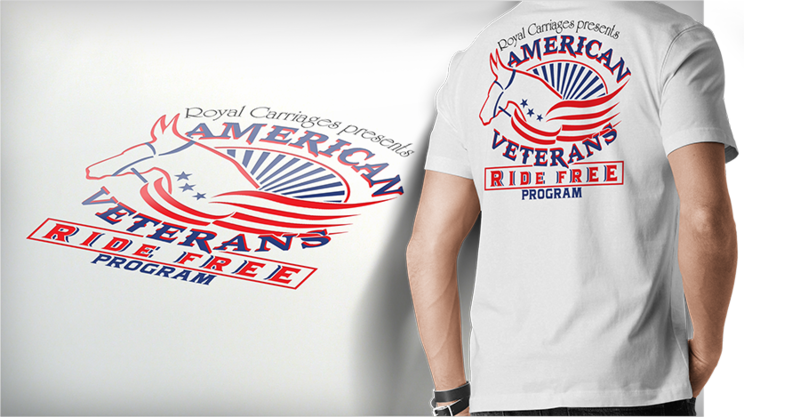 Midnight Boheme has enjoyed creatively producing numerous designs for Royal Carriages over the years including t-shirt designs such as "Cool Mule" and a fresh, patriotic logo design to promote a special discount tour opportunity for American veterans to "Ride Free" in 2016. 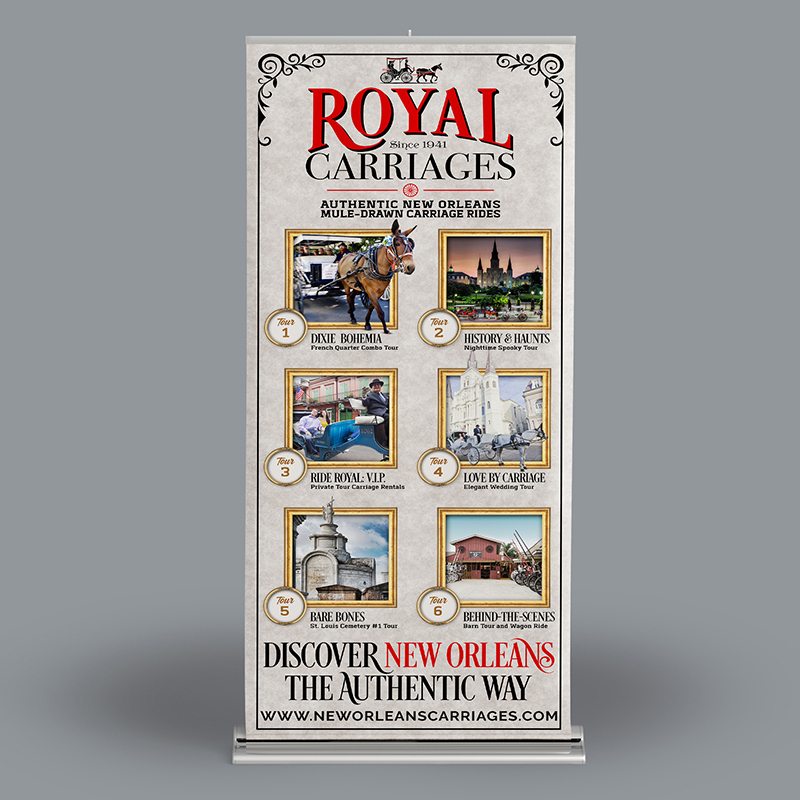 When patrons start to feel the heat in the sunny New Orleans summer, Royal Carriages offers these free promotional fans to help create a cool breeze in the sweaty Southland. 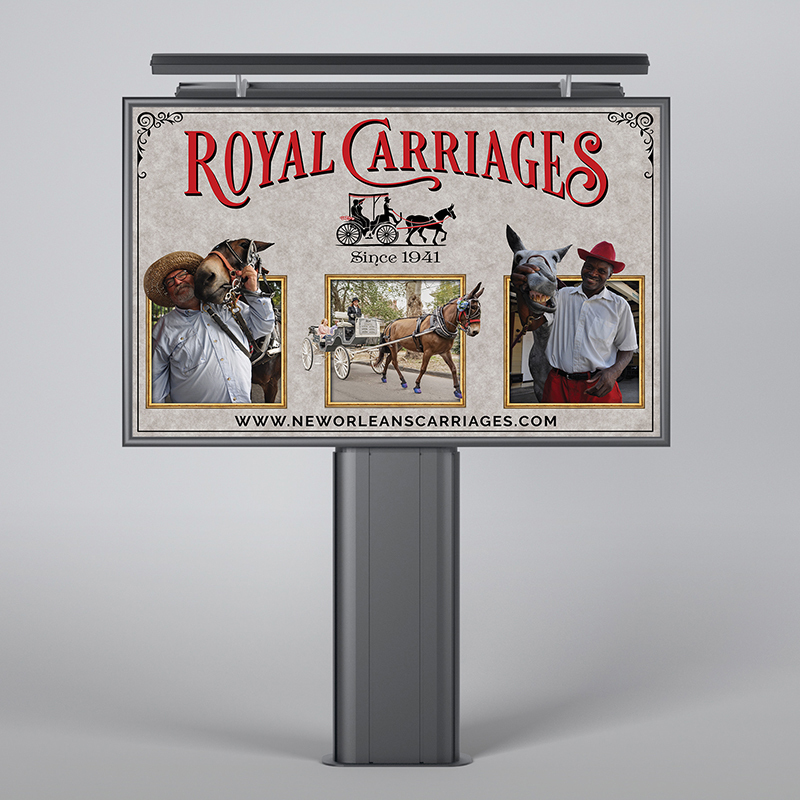 Thank you cards, greeting cards, feedback cards, business cards, complimentary carriage ride cards.... no matter the type of card, Midnight Boheme and Royal Carriages have created a ton of cards to promote the brand and spread the word about the tour company. 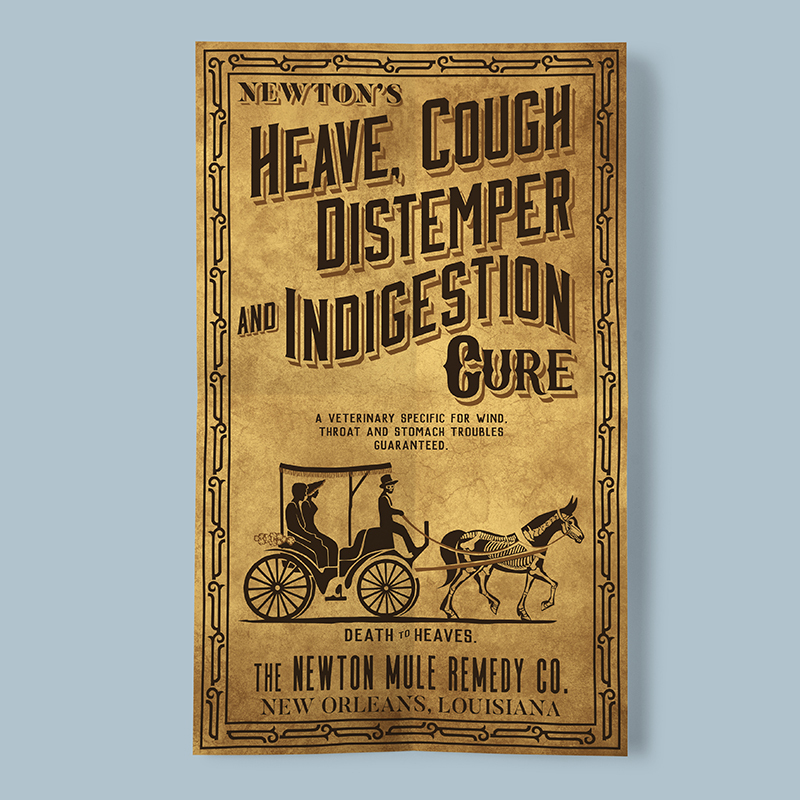 Many people don't know the history of mules and their usefulness. 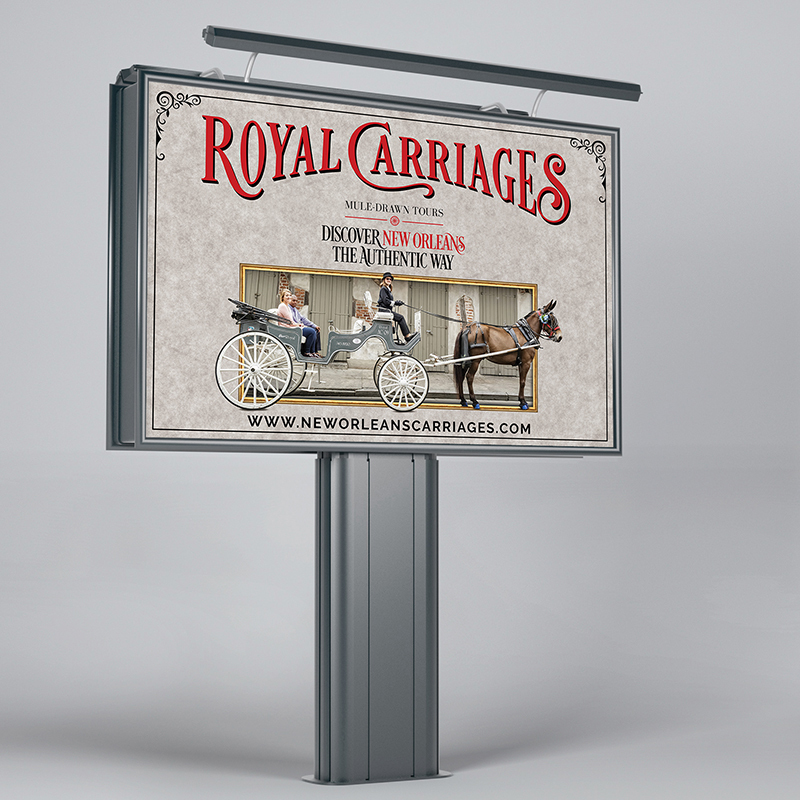 Midnight Boheme and Royal Carriages worked together on creating a rack card about the original hybrid, the Mule, plus wedding rack cards to promote "Love by Carriage", and a company rack card to showcase the many tour selections now offered by Royal Carriages including French Quarter History and History & Haunts, a nighttime ghost tour on a carriage ride.